New Zealand roads must surely be the best kept secret in the motoring world. So said one of our very satisfied customers after their honeymoon jaunt in one of our Alfa Romeo Spiders. Driving the New Zealand South Island is pretty much a road trip paradise, with involving, well maintained and relatively uncrowded roads, traversing the most glorious landscapes. They were after all, one of our inspirations to set up RentAClassic in the first place, to appreciate the joy of travel in cars made for that very purpose. Read our South Island Road Trips article for more of a feel of why driving here is so good, or visit our sister www.nzroadtrips.co.nz site for destinations and routes our escorted tours take you driving multiple sports cars! If you’re not familiar with driving in New Zealand though, then as with any new adventure, just bear in mind you’ll need to acquaint yourself with a few things to maximise your enjoyment and minimise any stress. Here we give it to you straight, so you can take the twists and turns New Zealand roads can throw at you. Please visit these 3 websites to prepare yourself, and read our further tips below. A number of factors can make driving dangerous, but the major safety factor is you the driver, and the decisions you make. Ignorance of our Road Code is definitely not bliss. We have quite a lot of signage but it’s there for a good reason e.g. single lane bridges, recommended cornering speeds. Journey times and distances between cities are often significantly underestimated, due to the fact there are pretty much no motorways on the South Island, (except briefly on the outskirts of major cities), and very few dual carriageways. Travelling between Christchurch & Queenstown in particular takes longer than you expect, (allow a whole day if you’re taking the West Coast / Glaciers route, which isn’t recommended without an overnight stop). Use the driving distances and times calculators when planning your itinerary, and don’t forget to plan in adequate refreshment breaks and photo opportunity diversions. Because of the large distances between populated areas, petrol stations are pretty infrequent outside of towns, to the extent they don’t really exist and if they do, likely not after 5pm! We recommend you don’t let the fuel tank drop much below a third full, as climbing mountains in particular can be thirsty work, and there are many inviting long detours to explore along the way. Don’t be tempted to cut or ‘straighten out’ corners by crossing the solid central line, even if the road ahead appears clear. It’s an insult to our cars cornering abilities, it’s dangerous, and will get you an instant heavy fine if seen by the police. Single carriageway roads almost everywhere mean interesting roads….but you can read that both ways. There are rarely barriers or central medians to protect you from oncoming traffic, and sometimes no breakdown lane or barriers to protect you from very long drops or sheer rock face on the other side. Enjoy the scenery, but don’t become part of it. Always plan ahead, read the signage and observe what the road and other vehicles ahead are doing. And remember stopping distances of our older cars aren’t as good as modern ABS ones. Most mountain roads and many valleys will by nature be very twisting, with few safe passing opportunities. Thus you may need to be extra patient and plan your overtaking carefully on infrequent straights or short dual lane sections, so ensure you know how your car responds. If someone considerately pulls over to allow you past, it’s customary to honk-honk and wave them a thank you once safely past, (that’s the only time most Kiwis use the horn). Never start overtaking when the central line on your side is solid yellow or becoming broken yellow. If in doubt, don’t! Weather conditions can change quickly, especially outside of summer, and very heavy rain can occasionally be a serious hazard, causing rivers to rise extremely quickly and potentially causing floods, slips and debris on some roads or around blind corners. ‘Four seasons in one day’ is a well known kiwi phenomenon, so please adjust your driving style to suit the conditions. If storms or extended torrential rain occur, strongly consider delaying your journey. You’ll stay dry in our convertibles, but it’s so much more fun in the sun with the roof down…. Rural roads are very dark at night so.....break every 1-2 hours and don't drive tired. Don’t drive if you’re tired, take time to break up your journey by stopping for a relaxing walk, refreshments or getting out and really soaking in those views. If you do get tempted to stop for photo opportunities, (and you will frequently), only do so at designated stops or lay bys. Don’t stop with any part of the car on or very close to the road, even if the traffic appears infrequent. Better, hire our dash cam to easily and safely video the spectacular driving bits for you! Need some stimulating and relevant discussion to help you stay alert? Download our Drive Alive podcasts from Fresh FM, where we discuss cars, better driving habits and play some great driving music….because the Top of the South needs more lerts! And finally, not wearing seat belts, speeding or driving whilst using a mobile phone or under the influence of alcohol or drugs, are obviously complete no-nos. The New Zealand police are very speeding intolerant and often love to sit and admire those long inviting straights. 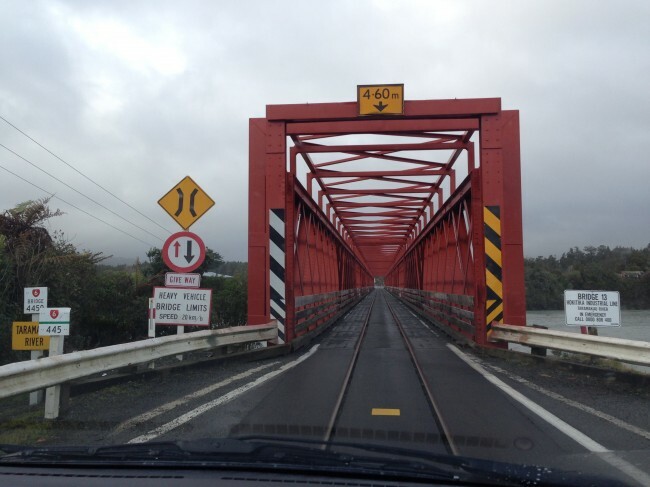 And the latter can often have surprisingly sharp corners at the end of them…and those single lane river bridges again. Please be assured that all our cars have to meet the same standards for all NZ rental cars, which is a strict six monthly Certificate of Fitness. We maintain them to high standards because we also drive our loved ones around in them. However, whilst most of our post 1994 cars have many of the modern safety features like ABS and airbags, our older classics especially won’t, and neither will their braking, steering, acceleration or grip necessarily be as good or responsive as those of their modern counterparts. Therefore the main safety aid is you the driver, the way you drive and the decisions you take. We want you to have fun, but especially in the older classics which won’t suffer fools gladly, please maintain extra distance between you and other vehicles, and extra time when planning certain manoeuvres. Please refer to our Frequently Asked Questions page for further information.